South American food goes from strength to strength. Peru leads the way, with Lima fast becoming the continent’s culinary capital and ceviche and pisco sours adorning menus across the world. 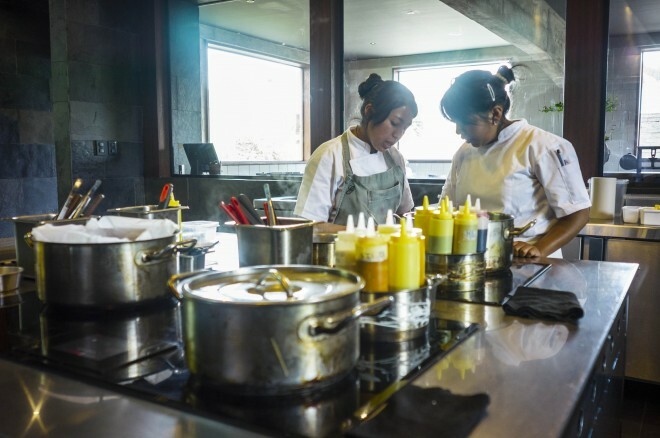 Superstar chef Ferren Adriá, of Barcelona’s acclaimed El Bulli, has even declared that the “future of gastronomy is being cooked up in Peru”. Argentina produces the world’s finest steaks, as well as top-class wine. Chile has equally good vineyards, plus outstanding seafood. Time magazine, meanwhile, has named Alex Atala, chef at Sao Paulo’s much-lauded D.O.M, one of its 100 most influential people in the world. But while its neighbours may be flourishing, Bolivia has remained in the shadows, its cuisine unable to shake off a long-held reputation for being stodgy and rather monotonous. Claus Meyer – co-founder of Noma, the two-Michelin-starred, Copenhagen-based restaurant named best in the world four times in the last five years – plans to change that. 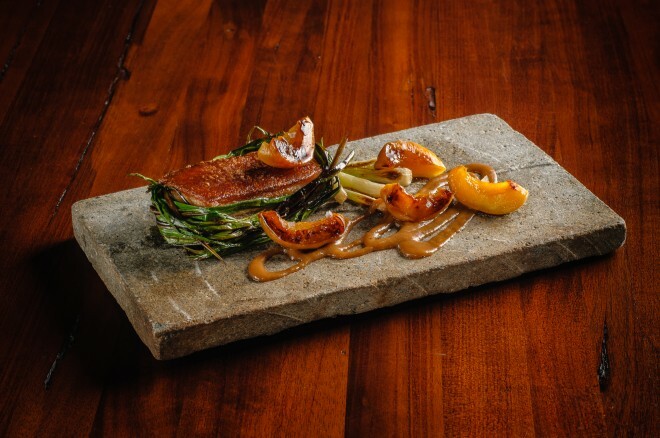 His restaurant Gustu, which opened in La Paz in 2013 in conjunction with Danish NGO IBIS, assumes Noma’s locavore ethos, matching exclusively Bolivian ingredients with avant-garde cooking techniques. Meyer’s modest aim is to position Bolivia “as a leading tourist gastronomic destination”, and staff members – with a few exceptions, like a couple of senior chefs – are all Bolivian. Recently I dropped into Gustu for lunch with my friend Nick. En route from our hotel just off Sagárnaga street, La Paz’s bustling backpacker hub, we passed some of Bolivia’s more traditional food options: lurid, whipped-cream-topped red and green jellies in plastic cups; baskets piled high with salteñas (similar to Cornish pasties); mounds of gnarled potatoes, a small fraction of Bolivia’s 200-plus varieties; and interchangeable traveller joints offering pancakes, pizzas and llama steaks. The culinary and geographical landscape changed dramatically in the taxi ride to the swish Zona Sur district, the city growing steadily smarter – bigger homes, more green spaces, fewer people. 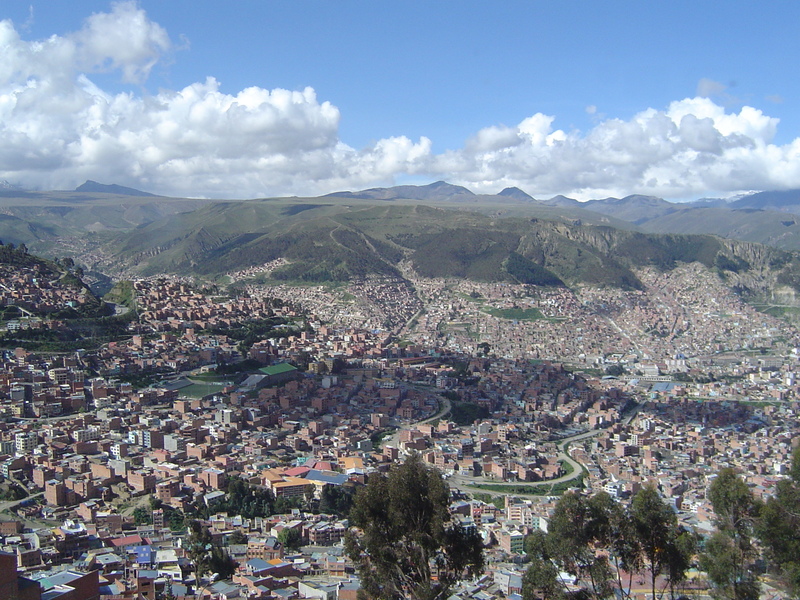 Gustu is in the vaguely Californian Calacoto neighbourhood, just round the corner from a gleaming EU office, and some 500m lower than precipitously high central La Paz. I’d booked a table the previous week, but needn’t have bothered. The only other people in the light, spacious dining room – with an open kitchen and vast windows – were a French couple and a huddle of wealthy local businessmen. The surprisingly varied menu takes full advantage of Bolivia’s biodiversity, with ingredients from the Andes to the Amazon: Lake Titicaca trout; exotic fruits like chankaka, copoazu and red bananas; gamey alpaca and llama; coffee and chocolate; and cactus and chuño (freeze-dried potatoes). Given Bolivia’s landlocked status, seafood is the only major absentee. Gustu’s ingredients may be local, but its prices are decidedly not: a quick glance at the menu shows that the restaurant is way out of reach of most people in Bolivia, one of South America’s poorest countries. The 12-course “Bolivia Menu”, with a drinks pairing, costs 975 bolivianos (around £86/$135), with mains from 85 bolivianos (£7.50/$12). To put this in context, scores of restaurants across La Paz serve hearty (if rather less adventurous) three-course lunches for under two pounds. As soon as the food arrived, however, any thoughts about the cost drifted away: it was imaginative, unusual and Michelin-star class. Highlights included: yucca fritters with coca leaf-spiked butter; melt-in-the-mouth duck confit with creamed Andean corn; intenseley-flavoured native potatoes (one of them gloriously purple) on a potato cream sauce scattered with wild flowers; a surprisingly unctuous dish of raw heart of palm “tagliatelle” with strands of alpaca charque (jerky) and an egg yolk; and a tangy, distinctly adult dessert of chirimoya (custard apple) ice cream with tamarind sauce and chirimoya wafers. Even the occasional misses – notably the promising but underpowered dish of bacon smoked with wild cocoa – almost hit the spot. Drinks were also of a high standard: a gin, burnt mandarin juice and charcoal cocktail that somehow managed to be both refreshing and smoky at the same time; a quinoa beer from a microbrewery barely 50m away from the restaurant; and a fruity red tannat from Aranjuez, one of the highest vineyards in the world. The service at Gustu was unfailingly charming if occasionally error-prone: the poor lad who brought out our first dishes was visibly shaking, and managed to drop a plate with a clatter; his colleagues in the glass-fronted kitchen were unable to contain their smiles as he hyper-apologetically cleared everything up. The incident highlighted another of the objectives of Meyer’s venture, which is to give around 30 young Bolivians from disadvantaged backgrounds – few of whom had prior restaurant experience – the chance to learn cooking, baking and serving skills in a professional environment at a linked culinary school. Some twelve courses and four and half hours later, after a final limocello, Nick and I waddled satisfied to our taxi. Gustu has noble aspirations and genuinely ground-breaking food. Whether it’s enough to launch Bolivia as a “leading tourist gastronomic destination”, however, remains to be seen.